Our attorneys speak and take part in many local events and conferences focusing on community association issues, and this fall we are participating and speaking at several of South Florida’s premier events for condo associations and HOAs. 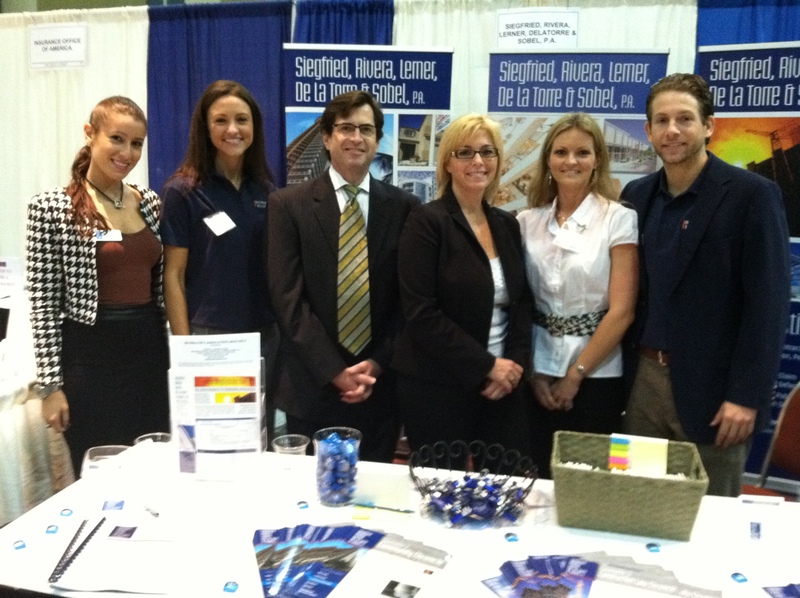 Pictured above is our team of attorneys and staff at our booth at the Community Association Day Trade Show hosted by the Gold Coast Chapter of the Community Associations Institute. They answered questions from the hundreds of attendees throughout the show, which took place on Friday, Oct. 14, at the Palm Beach County Convention Center. We are also proud to sponsor The Continental Group’s annual South Florida Conference and Exposition, which will take place at the Seminole Hard Rock Hotel & Casino on Friday, Oct. 28. The firm’s Helio De La Torre will be one of the featured speakers at the event, and he will focus his presentation on how associations should handle construction issues as part of the turnover process. He and several of our other attorneys will also be available to answer questions at the event. The following Friday, Nov. 4, our attorneys will also be participating and answering questions from attendees at the Broward Coalition’s Share & Learn Trade Expo taking place at the Signature Grand in Davie. Our attorneys will also be taking part in the CAI Southeast Florida Chapter’s Hot Topic Breakfast taking place on Tuesday, Nov. 8, at Jungle Island in Miami. The featured speaker will focus on “Budgeting and Bad Debt,” and the event qualifies for 1-CEU credit. More information on the breakfast is available by calling Jill Proietti at (954) 816-0661. Click here to learn more about all of our upcoming events and seminars.